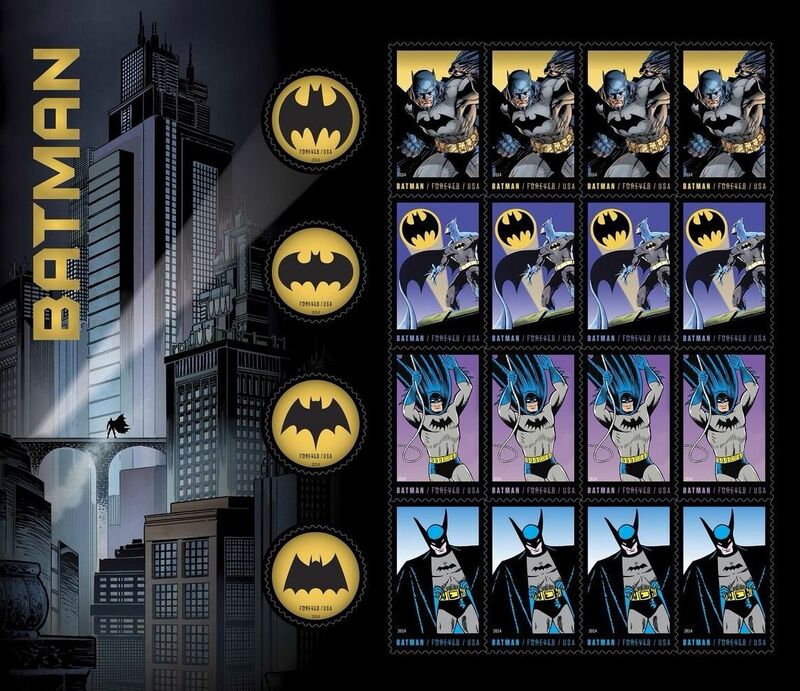 The US Postal Service honored Batman and DC comics in 2015 with these very cool Postal stamps. The Batman logo was also a first in a new stamp design. The public thought these were stickers and not stamps. "Holy free-be'ssss Batman!! !